Long time ago he engraved my Seecamp and not only did a wonderful job, but also was very reasonably priced. Update: I have went from no scales to having 3 different sets, 2 of which are being made currently. I purchased a cheap set on ebay to hold down the fort(they aren't bad) and I'm waiting on the Marschals. I also have another set being made, but I'll hold off on those details until I know if the maker wants to be publicized. I'm most excited about these. I am glad you are finally getting what you really want, and that is most important. 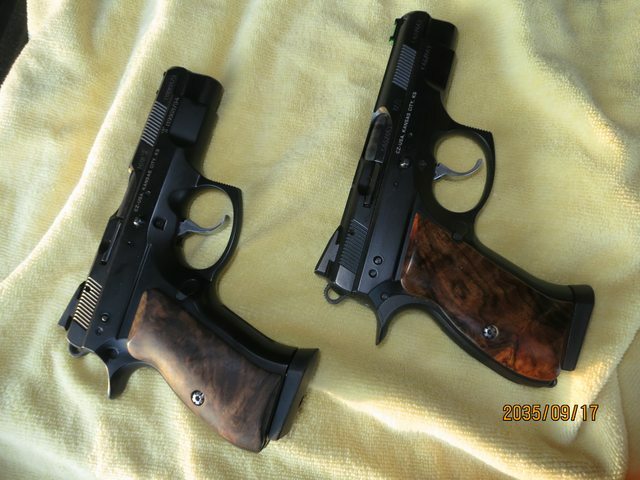 I have grips from Hakan and Dennis Marshalko and Grips4you and I love them all, but at the end of the day, Rami is my EDC and all those grips that make the pistol really nice looking (aka barbecue) are just too wide for my rather small hand - so it is back to the factory set. Having said that, hand made grips by a custom grip maker are always nice to see and admire. Hakam makes Rami smooth grips. Never could get ahold of him. Hiya, sounds like the ebay grips will do the trick till your Marschals get delivered. Once they arrive open on a surface that prevents losing any washers or screws from ending up in carpet. Keep a screwdriver in your range bag while you break in the grips to tighten up as soon as a shimy occurs. The shape of rami grips should hold up well. Hope you show em off after they arrive. Be well. Still waiting, but I think the Marschal set will be finished soon. I'm dying to see the other set in Koa, they will probably end up being the ones. They finally came and I couldn't be happier. On a less pleasant note, I still haven't heard back from Marschal. I have emailed them multiple times on both emails I have for them and heard nothing. Nice, but a bit too light for my taste. IMHO RAMI looks a lot better with darker grips. 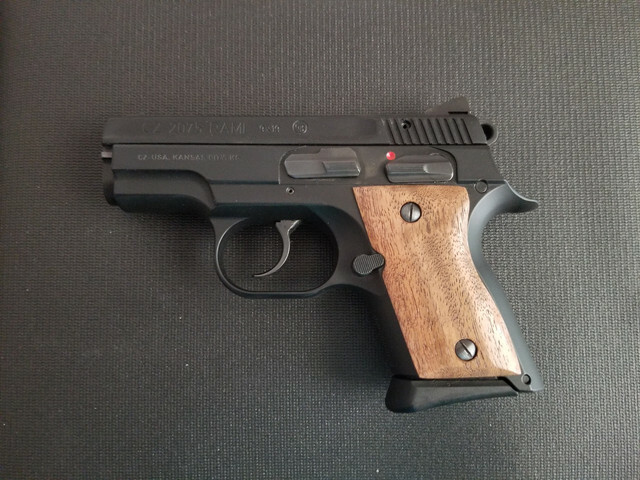 I wish someone made nice thin wood grips. Like someone said back up the thread, all these wood grips good great but they add to the thickness of the rami, and I have small hands. There use to be thin wood grips available for 1911's. I have some on my 1911 but that was years ago that I bought them and I don't remember who I got them from, or if they still make them.